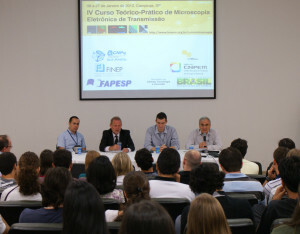 Nanotechnology starts to gain an important role in Brazil in recent years. 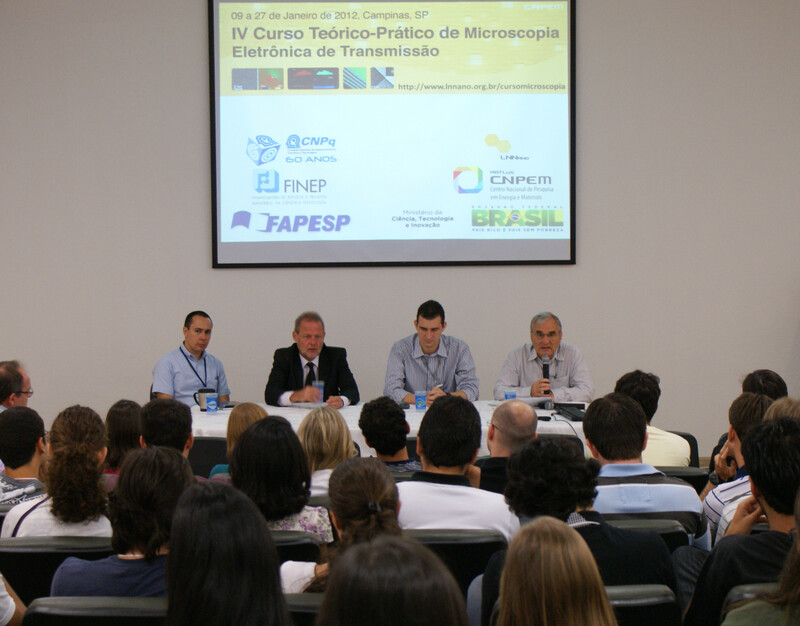 Proof of it is the increasing number of candidates at each edition of the Theoretical-Practical Transmission Electron Microscopy School, held by the Brazilian Nanotechnology National Laboratory (LNNano), in Campinas. The first edition, in 2007, 92 candidates have disputed the offered positions. This number remained stable in 2008, has grown 30% in 2010 and rose to 219 applications in 2012, a growth of 138%. “It shows that the area has an increasing national relevance”, affirmed Carlos Alberto Aragão, general-director of the Brazilian Center for Research in Energy and Materials (CNPEM), which houses LNNano. Held from January, 9th to 27th, the audiences of the course are graduate and postgraduate students and researchers who use or intent to use transmission electron microscopy techniques. Due to the high demand, the event has being streamed at the address www.lnnano.org.br/cursomicroscopia. “Thus, we can extend our audience to a greater number of people interested on the subject”, says the researcher and one of the organizers, Luiz Fernando Zagonel. The students profile is another interesting fact. According to Zagonel, they have considered the motivation and the interest of the candidates during the selection process. The group of this fourth edition is composed mostly by doctorate students in the fields of Physics, Chemistry and Engineering. Yet, there are also several graduate and some post-doctoral students. “Heterogeneity was a pleasant surprise. We have formed a quite good class with students at different levels”, says Zagonel. The school will be held for three weeks and will be divided into two parts. The lectures and group discussions are reserved for the first two weeks. In the mean time, the participants carry out a test to determine which of them stay another week for practical lessons, to be taught at the electron microscopes of the LME / LNNano.